We are located at 100 McLevin Avenue in Scarborough. 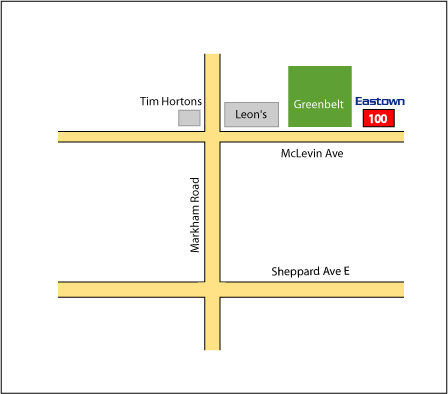 McLevin is one stop light north of Sheppard Ave E. Take Markham Road and turn right at Leon's Warehouse. We are at #100, just past the greenbelt, in Unit 1.